Charlie Sheen revealed he is HIV positive overnight in an exclusive (US) TODAY interview with Matt Lauer. "It's a hard three letters to absorb. It's a turning point in one's life," the 50-year-old actor most famous for TV series 'Two and a Half Men' said. Sheen said he made the announcement to end the smear campaign and extortion. 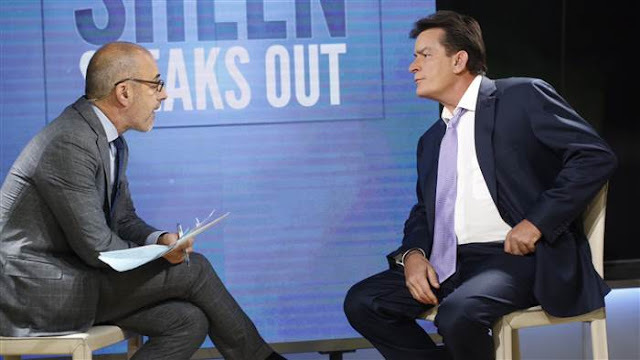 Sheen said he told ex-wives Denise Richards and Brooke Mueller about the diagnosis when he found out. He also shared the news recently with his oldest daughter. "It hit her hard, but she recovered. She's tough like her dad," he said.